Senior RSS leader M G Vaidya said RSS founder Keshav Baliram Hedgewar may have made "secret arrangements" for Rajguru's stay in Nagpur. 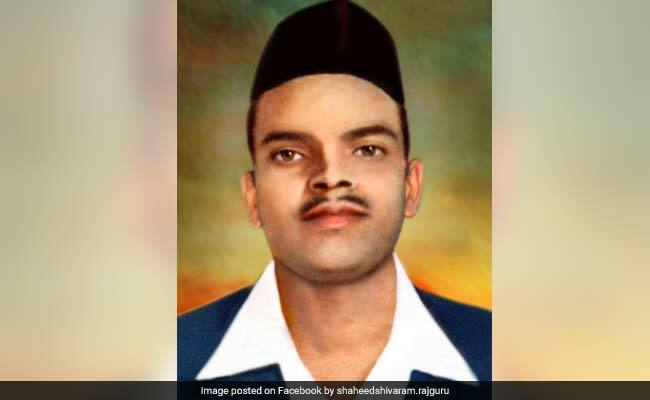 Pune/Nagpur: Descendants of freedom fighter Shivaram Rajguru, who was sent to the gallows along with Bhagat Singh and Sukhdev on March 23, 1931, have taken umbrage to the claim in a book that the revolutionary was a "swayamsevak" with the RSS. The book is written by former RSS pracharak and journalist Narender Sehgal. "There is no proof available (to suggest) that Rajguru was a RSS swayamsevak and neither did our grandfather tell us so," Satyasheel and Harshwardhan Rajguru, grandsons of the revolutionary's brother, said in Pune. "However, it is true that during Rajgurus's brief stay at Nagpur, arrangements of his stay there were made by a Sangh swayamsevak," they told a Marathi news channel. "Rajguru was the revolutionary of the entire country and his name shouldn't be associated with any particular organisation," they said. Asked if Rajguru had visited the Mohite Bagh shakha (unit) of the RSS in Nagpur, the city where the Sangh headquarters are located, Mr Vaidya said, "You are asking if Rajguru visited (the branch). He may have come. Did Dr Hedgewar make some arrangements for him? He may have done so." "When Aruna Asaf Ali was 'underground' (during the freedom movement), she stayed at the house of Delhi RSS functionary Hansraj Gupta," Mr Vaidya said in Nagpur. "If (Rajguru) came (to Nagpur), there is a possibility that Dr Hedgewar made secret arrangements for his stay. This is a possibility as Dr Hedgewar was a revolutionary and had relations with revolutionaries," he said. Mr Vaidya, former RSS Boudhik Pramukh (in charge of intellectual training), when asked if there were occasions where the topic of Rajguru came up for discussions in the Sangh "boudhik" deliberations, said, "At least I haven't heard of this".